Good Choice Reading: Amazon Breakthrough Novels / Inheritance Cycle / Divergent News! Amazon Breakthrough Novels / Inheritance Cycle / Divergent News! Amazon customers around the world cast their votes this week for the winners of this year's Amazon Breakthrough Novel Award. Alan Averill is the Grand Prize winner in the general fiction category with his novel, "The Beautiful Land." He actually wrote his draft during National Novel Writing Month (NaNoWriMo), a movement that urges authors to write a novel in 30 days. 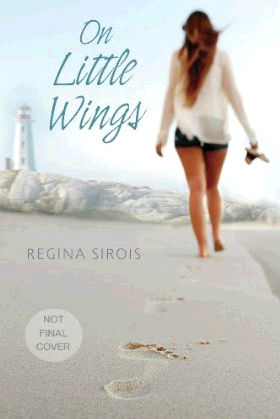 Regina Sirois was awarded the Grand Prize in the young adult fiction category for her novel, "On Little Wings." Both authors have received a publishing contract with Penguin Group USA. You can actually pre-order the novels already at www.amazon.com/abna. This year, the competition drew thousands of submissions - more entries than ever in the history of the competition. This is the fifth year of the Amazon contest. THREE NEW RELEASES IN INHERITANCE CYLE! On June 18, 2012, Knopf Books for Young Readers announced that they will publish the Inheritance Deluxe Edition by Christopher Paolini this fall! On October 23, 2012, Knopf will also simultaneously release Inheritance in paperback, as well as the Inheritance Cycle Boxed Set, which will include all four books that make up the series (Eragon, Eldest, Brisingr and Inheritance). Inheritance was the fourth and final installment of the #1 best-selling Inheritance Cyle, which achieved the highest first-day sale in 2011 of any fiction or non-fiction, adult or children's title published in the U.S. and Canada. It sold 489,500 copies in print, digital and audio formats in one day! The Inheritance Deluxe Edition will sell for $29.99 and include the full text of Inheritance, never-before-seen artwork by Christopher Paolini, an exclusive fold-out poster, a letter from Jeod (a character in the story), a letter from Paolini to fans, and a new scene within the text. I Already Own All of the Books in the Series, and I Still Want This Version!! Word on the street is that the film adaptation of Divergent is being fast tracked and that the filming will begin this year (previously it was slated to begin production in 2015)! Divergent is a debut novel from author, Veronica Roth, and Insurgent is the second book in the trilogy. The third book in the series, which has yet to be titled, is slated to be released sometime in 2013. They are books adored by all the ladies of GCR! Are You Excited About the Divergent Movie? I need to read these books! I have them but have not gotten around to reading them yet. I will do it before the movie, that much is certain. Seeing a movie before reading the book just ruins the book for me! 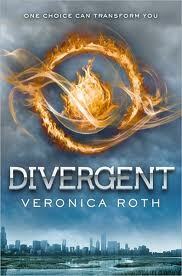 I really want to read Divergent! It's definitely on my must-read books for this summer. All of this news is pretty cool. Books turned into movies always worry me though. Especially if I love the book. OMG!! They are making a movie of Divergent!! *bounces* I only hope it will come close to the epic awesomeness of the books. I just finished Divergent 5AM this morning and I'm starting on Insurgent now. Squeeeee! This series is definitively been added to my favorites shelf! Some awesome books on the list!!! Divergent movie!!! I just hope they will give the books justice because they are awesome! Super excited for a Divergent movie. Divergent is one of the best dystopians I have read, hands down. I loved the Hunger Games, books and movie. But I gotta tell ya, I am even more excited about the Divergent movie. I cannot wait to see what they accomplish. I hope that, even if they have to make the movie a little longer, they try to get as much of the detail into the movie as possible. And I have no doubt that Divergent will do good enough that there will be no qualms about Insurgent. 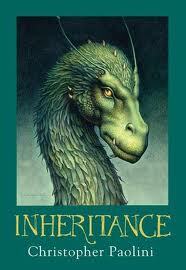 The Inheritance cycle is one of my favorite series of all times. I think I may just have to get that special edition Inheritance. I have Divergent in my TBR i'll have to make sure I get it read before the movie! I'm excited for Inheritance to come out in paperback. I've been waiting so that I can finally read the whole series! I can't wait to see Divergent become a movie. Fingers crossed it actually happens and fast! I'm going to see Veronica Roth on a Dark Days tour stop and can't wait! Yay books into movies!! YAY!!! I'm really excited for the Divergent movie, however, I'm worried about who the writers are. I was disappointed in Snow White, so I hope they don't butcher Divergent! I loved the books and can't wait to see them turned into a movie. I am excited. I know that books will always be better but it is nice to see it on screen. Can't wait. These sound like great books, I'll have to put them on my list! these are really awesome books. thanks for sharing. I'm so excited for the Divergent movie!